City sidewalks don’t exactly cater to the skateboard camp. 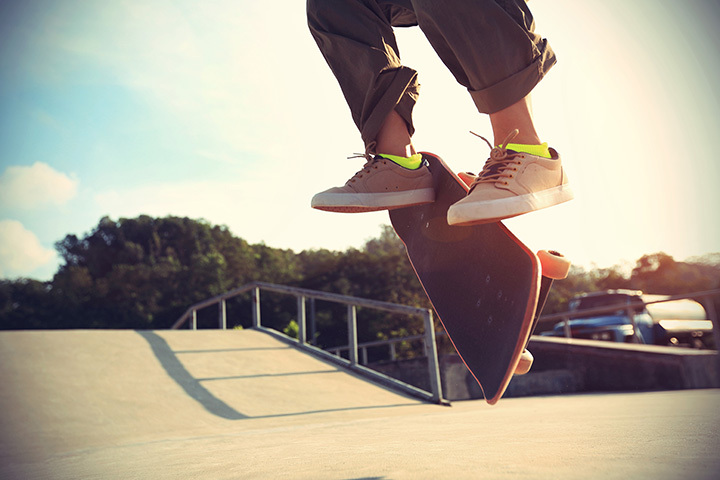 But skate parks provide an escape for the skateboarding community, where they can be among those with a similar passion. Skate parks are spaces designated for the skateboarding craft. So grind some rails at one of the seven best skate parks in South Carolina, where your wheels will always be welcome. Upstate South Carolina used to play host to some of the best skate parks in the state, but Hot Spot Skate Park looks to be the 864’s last man standing–and for good reason. It’s street-style skating with the traditional stairs, ramps, rails, boxes, and ledges. Or, if you want to put your breaks on standby, take a shot at the full flow course, complete with a pyramid, mini bowl, quarter pipe, two half pipes, and more. Bring a helmet, though. You’ll need it. Owned by actor Bo Mitchell of HBO’s “Eastbound and Down,” this skate shop-skate park serves up some pretty gnarly obstacles that will have even seasoned skaters coming back for seconds. Stairs, rails, ramps, jumps, graffiti, and everything else you crave in a skate park come together in a warehouse environment. Oh, and there’s even a pallet-laden forklift for video-worthy stunts. It’s Columbia’s first custom-designed concrete outdoor skate park, and it spans over 15,000 square feet. Bikers, skateboarders, and inline skaters can rock the rails, shred some stairs, and cruise around the pool bowls. There’s also a small halfpipe, fun boxes, and a bank, so you’ll have plenty of places to practice your stunts. Port Royal Skate Park brings the best of indoor and outdoor parks into one. Extensively covered and left with open sides, bikers and skateboarders alike can use the course to crash and burn and skin some knees as they amp up their tricks. There were also talks of a citywide competition at the site, but that may be several months in the making. It’s small, it’s outdoors, and it’s a project that brought the community together in order for this skate park to be born. Kids and adults of all ages and skill levels rally around Summerville Skate Park to practice and perfect their dexterity. Oh yeah, and it’s free. Rain or shine. It doesn’t matter at Redbeard Skate Park. Visit the shop for boards and apparel, then try out your purchases in the indoor skate park. And the buzz around town about these guys is nothing but positive. The staff doesn’t just cater to the skating community–they are an integral part of it, and continue to spread their passion by providing the perfect locale for skaters of any skill level. Don’t let the urban, graffiti-ridden scenery fool you. Matt Hughes Skateboard Park is Myrtle Beach’s only worth-the-trip skate park. There are plenty of rails, a big bank, and a stack box for sweet grinds. And while there aren’t any spectacular views of the ocean, you can park and play for free, so there’s that. View more South Carolina Skateparks.